Constipation is normally treated with a fiber rich diet, fiber supplements and home remedies. However, if natural remedies fail to provide relief from constipation, prescription drugs are needed to soften the stool and ease bowel movements. 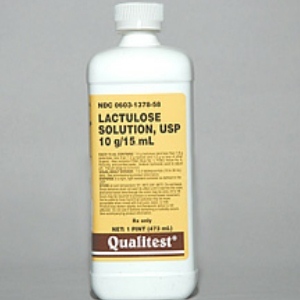 Lactulose is a popular stool softener. In the colon, lactulose breaks down into compounds that draw water from the body into the colon, thereby increasing the water content in the stool. In addition to treating constipation, lactulose is also prescribed for reducing the ammonia level in the blood. Lactulose is usually taken orally, twice daily, until constipation is cured. It may take up to two days to realize the benefits of the laxative. Diarrhea, nausea, gas, vomiting, stomach pain and abdominal cramps may occur after taking lactulose-based laxatives. Diarrhea and abdominal pain are the common symptoms of lactulose overdose. Lactulose is a synthetic sugar. Therefore, people intolerant to sugars such as fructose, lactose and galactose should use this constipation medication with caution. Lactulose is not recommended for people suffering from galactosaemia, a rare condition that impairs galactose digestion. Lactulose is also unsafe for people diagnosed with blockage in the intestines caused by a disease or condition other than constipation. 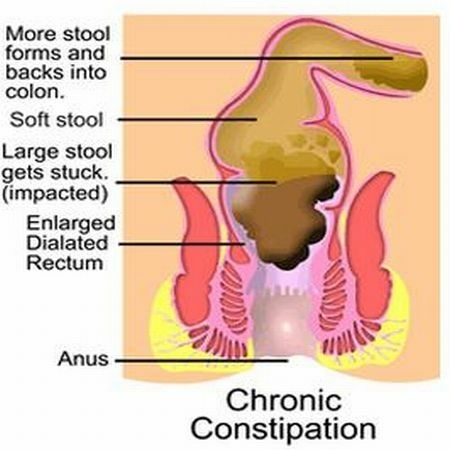 Lubiprostone is prescribed for treating idiopathic constipation. This constipation medication works by boosting fluid secretion in the intestines, thereby softening the stool. It is also recommended for treating irritable bowel syndrome, especially in women, when constipation is the main symptom of the condition. Lubiprostone is available in the form of capsules. It is taken with food, usually twice a day. For best results the laxative should be taken in the morning and evening at the same time daily. Sometimes, intake of lubiprostone may cause stomach pain, bloating and abdominal swelling. Bladder pain, chest discomfort, breathing difficulty, blurry vision, blood in the urine, flu, diarrhea, cough, frequent urination urge, headache, nausea and vomiting are some rare side effects of lubiprostone. Polyethylene glycol is an osmotic laxative. It helps to soften the stool by increasing the water content in the stool. It is prescribed for constipation sufferers who cannot use fiber supplements. 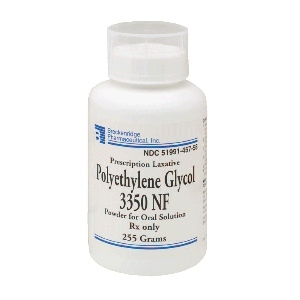 Polyethylene glycol is available in the form of powder. It is mixed with a fluid and taken orally. It should be taken once a day, up to two weeks. To prevent dependence on the laxative, it should be taken occasionally in small doses or as prescribed by your physician. Polyethylene glycol can cause side effects such as nausea, gas, bloating and abdominal cramping. Diarrhea and hives are rare side effects of this laxative. Diarrhea, seizure, confusion and thirst are symptoms of polyethylene glycol overdose. 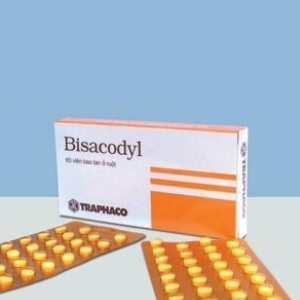 Bisacodyl belongs to the class of constipation medications known as stimulant laxatives. They promote bowel movement by stimulating intestinal contraction. It is recommended only for a short time for treating chronic constipation. Bowel movement occurs within 12 hours after taking the medication. Bisacodyl should be taken only once a day. It should not be taken within an hour after consuming milk or dairy product. You may experience abdominal cramp and stomach discomfort after taking bisacodyl. To avoid serious side effects and to prevent dependence on the drug, do not take it for more than a week.